If Minit were made by any less talented of a team it would have been a generic Zelda ripoff handcuffed to a Groundhog Day-style time gimmick. Fortunately for all of us the team behind Minit is monstrously capable and have crafted an incredible experience that is both defined by it’s time mechanic but not constrained by it. For those who are just now learning about Minit, know that the game gets its title from the fact that the player character dies every 60 seconds. No matter what you do when the timer hits 0 you die. What ensues is a race to make progress one minute at a time. While this may seem tedious in theory, it makes every life exciting and feels like learning to speedrun a game. 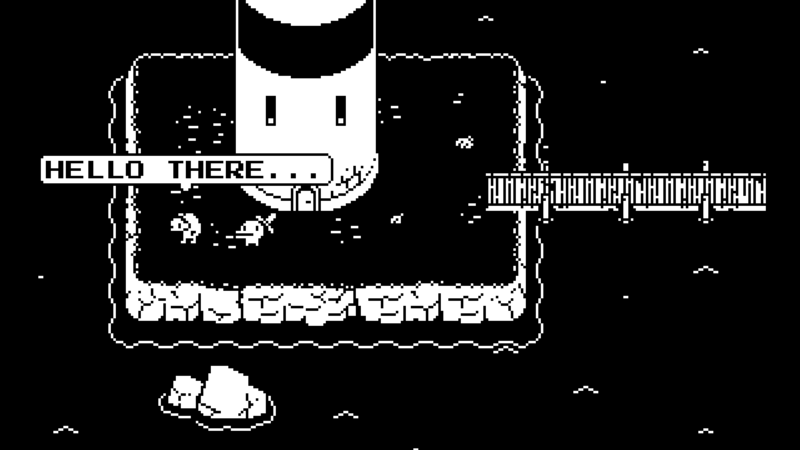 Minit is both a refreshing homage to the genre but also brings so much new to the table it exceeds its influences. There aren’t enough pirates in games. No not those teens who download games illegally --we have enough of those-- but lawless boat adventurers. Don’t Sink is here to fill that void in our hearts. Designed as half FTL and half Sid Meier’s Pirates, Don’t Sink is an expansive piracy sim that takes you all over a giant map. There is a surprising amount to do: from battling to taking over cities, Seabass went all out with pirate activities. This isn’t to say the game is perfect. There are some activities in game that run a little long, but you’re going to be hard pressed to find a pirate game with this level of polish and charm in 2018. Fortunately the developer isn’t done developing Don’t Sink so there is even more nautical fun to come. Recently I’ve been a fan of both cozy games and people management sims. Maybe this is my love of sitting under blankets and my dreams of becoming a capitalist menace/ class traitor coming together. 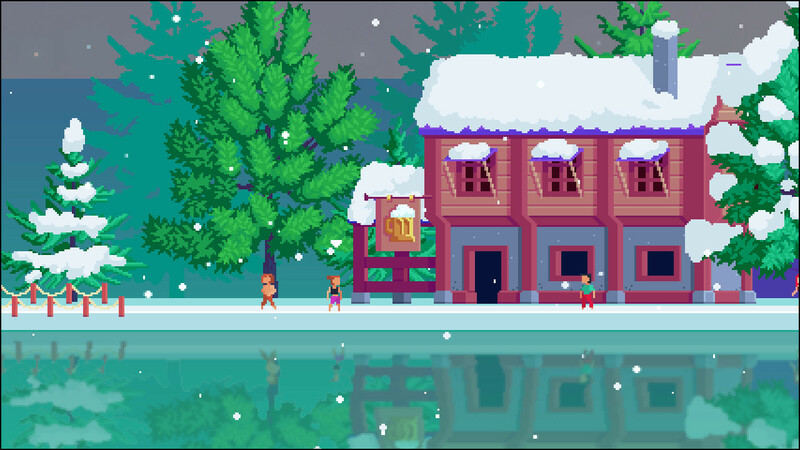 Squaretown feeds both of these traits at the same time with their uniquely cute town-running adventure. 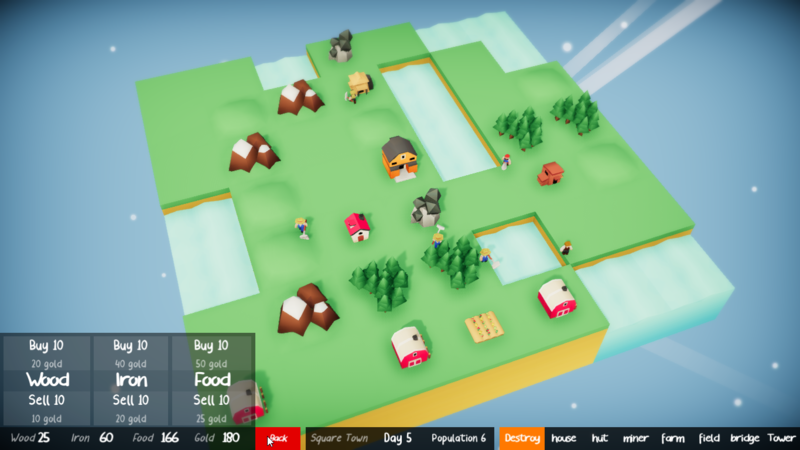 Squaretown doesn’t have a complicated set up: build a small town out of a limited pool of starting resources, and last long enough to build a tower. The tone of Squaretown is similarly familiar. But when you put the two together it becomes something unique and whimsical.